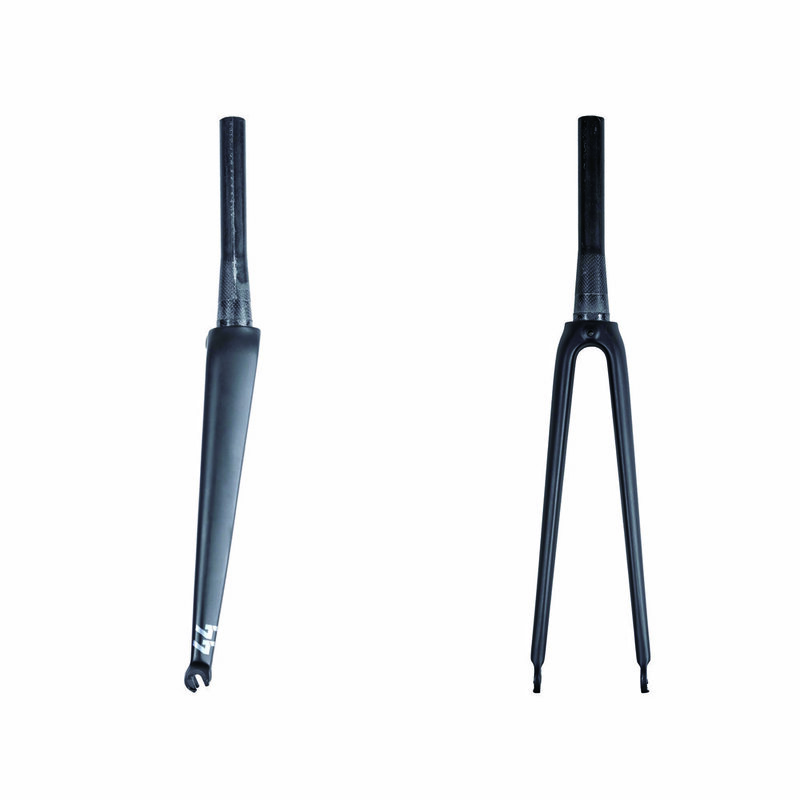 VELOCI No.44 Carbon Fork is a thoroughly modern road fork for road bikes. 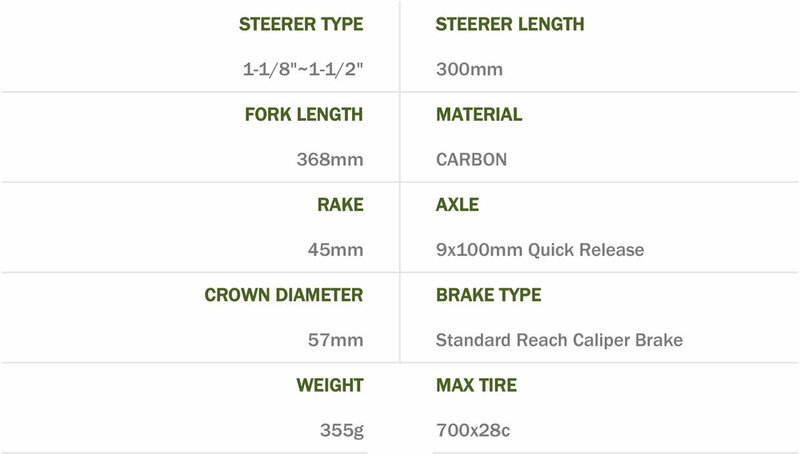 It features a tapered steerer tube for precise handling, clearance for tires up to 700x28c, 9x100mm dropouts and brake mounts for short-reach caliper brake to accommodate standard road wheels. It is a great replacement and upgrade of your current road bike or the perfect addition to a custom build.